Happy Friday, everyone! I hope you have fun plans for the weekend! 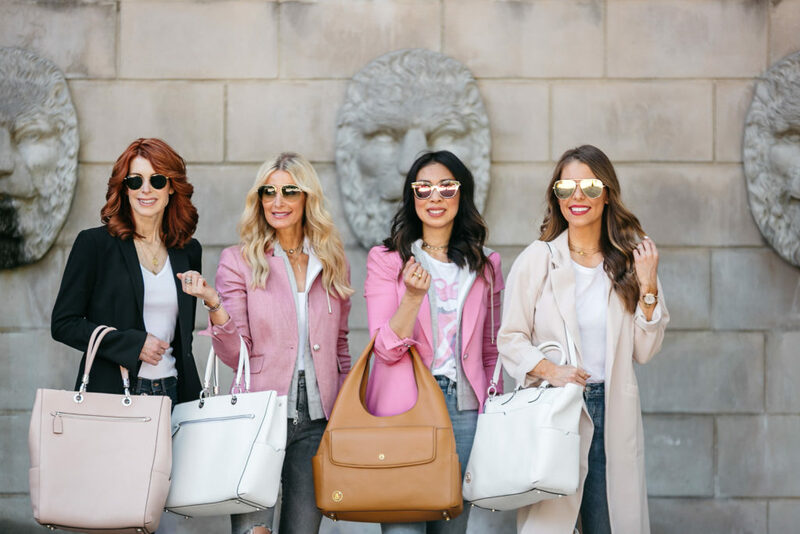 Since we are approaching summer and vacations, the Chic at Every Age girls would like to introduce you to a beautiful line of Italian leather goods from Luna by LaVoie for traveling in style. I was new to learning about Luna (think we all were), but am now a convert for using as my travel bag. These bags are handmade in Italy with the most beautiful full grain leather and skills of Italian craftsmen in Florence. 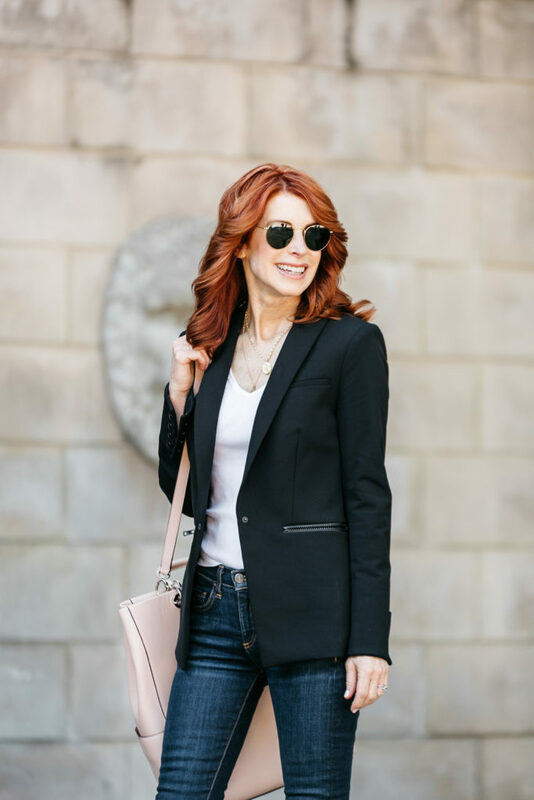 They blend fashion and function to create a bag that fits a busy lifestyle, be it career, traveler, mother, or fashion lover and any age woman! Luna’s founder, Marina LaVoie came up with the brand as she was preparing for motherhood. She was looking for high quality and high fashion “mom” bag, but all she could find were utilitarian mass produced “diaper bags. 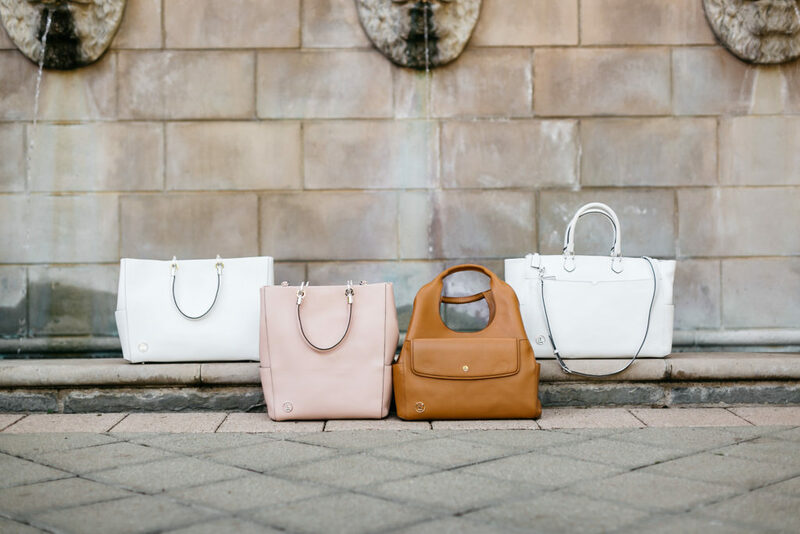 Seeing a niche that needed to be filled, LaVoie conceived the bags and accessories and designed them specifically for mothers, allowing them to be fashionable as well as functional. After a half-decade to create a line of handbags and accessories, the Luna Collection was born! 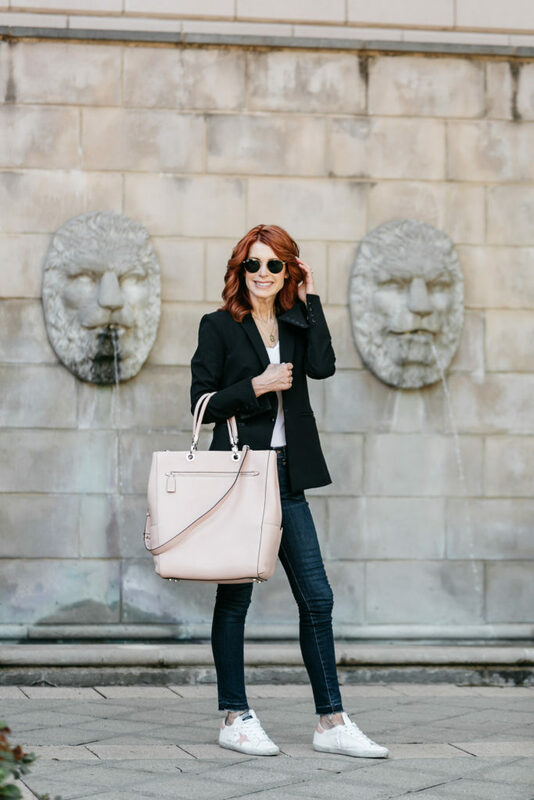 The collection was designed with mothers in the forefront of her mind, but they are stylish and practical for any professional, traveler, or fashionista. 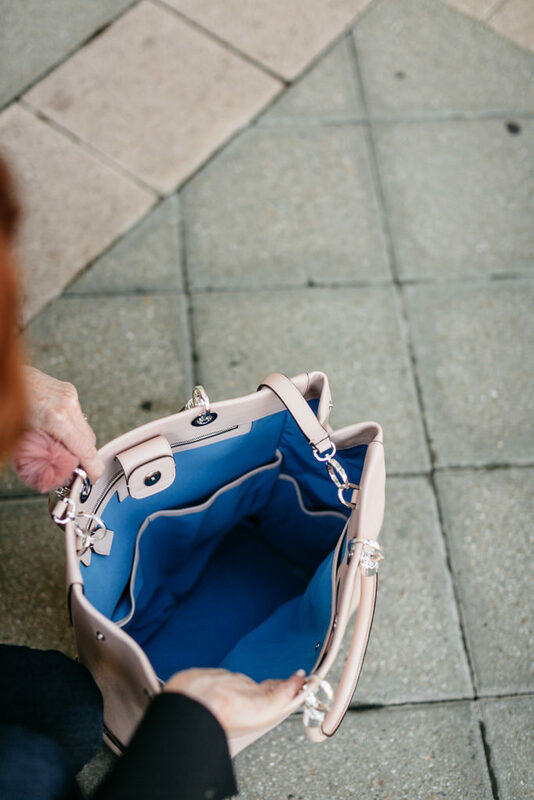 Each Luna bag features a timeless design, plenty of storage space, a beautiful blue water-resistant liner, and gorgeous hardware. It was hard for me to choose which bag I wanted because they are all so beautiful. The Chic girls all picked different ones, so I was glad to be able to see what they all looked like in person. The quality is fantastic and the color choices are all very classic. I chose the Katia in “nudo” (which seems a little more on the pink ballet side). The reason I wanted this bag, is that when I travel, I like to have a lot with me. I never get to read my magazines at home, so I take as many with me on the plane. I also have to have my laptop, headphones, snacks, water, and a pashmina with me. This bag will definitely fit all of my wants when I travel. There are also ample pockets inside and out to keep everything organized and a removable carrying strap that can be changed for different positions too. There are a few small leather goods you might want to add inside the bag HERE. The kind folks at Luna are giving our readers 10% off with code: CHIC. What we all are wearing, is how we dress to travel (airplane). 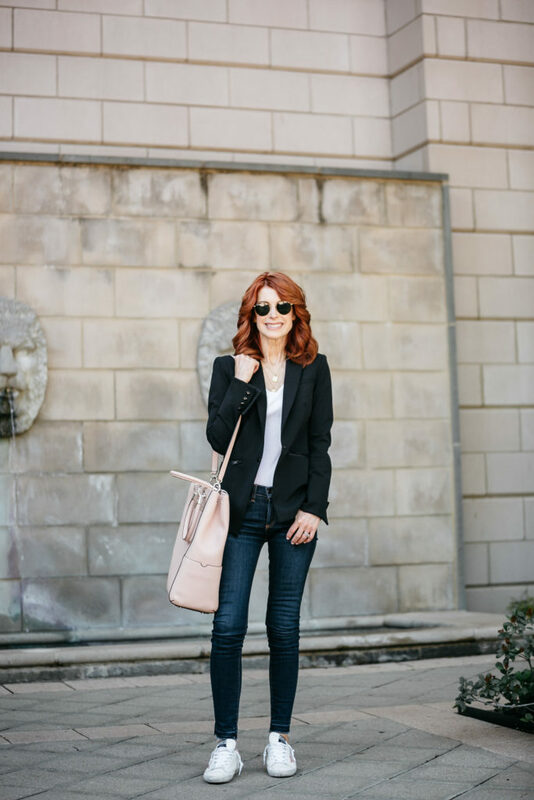 I always wear jeans (dark, in case I spill something), usually a tee shirt and blazer so that I can wear the blazer over other tops I pack. I always wear my sneakers, boots (in the fall and winter), or these slides. I love to be comfortable when I travel. I don’t wear a belt because it’s a pain going through security and it can be uncomfortable if sitting for a long time. Like I said above, I always carry a pashmina because I get cold. I now have this gorgeous Katia bag to take with me! Thank you to Luna by LaVoie for sponsoring this post! 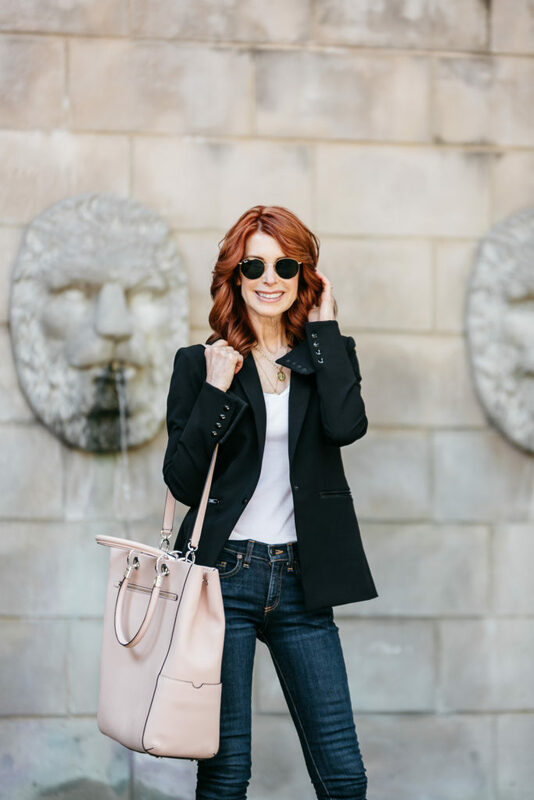 Share the post "CHIC AT EVERY AGE// LUNA BY LAVOIE LUXURY BAGS"
LOL! 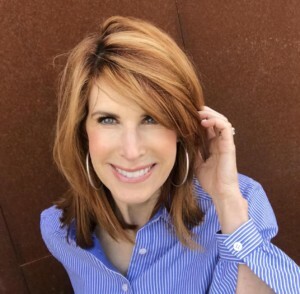 I love that you wear a blazer when you travel – I do the same thing. It looks pulled together, but I also can use it as a jacket on my trip. 🙂 I also do the no belt thing too.